Medieval manuscript expert Christopher de Hamel selects and discusses a range of illuminated manuscripts from The British Library's unparalleled collection, some of them unfinished and so revealing the processes involved in an illuminator's work. 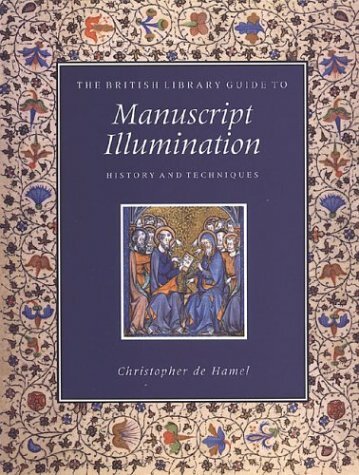 He also explores the role of illuminators in the medieval book trade - how books were commissioned, the patron's expectations, how illuminators worked with scribes, the materials and techniques they used, and the time and expertise involved in creating some outstanding masterpieces of medieval art. With over 70 colour and black-and-white illustrations, The British Library Guide to Manuscript Illumination is an authoritative and engaging guide to one of the central aspects of medieval bookmaking for anyone interested in medieval art, social history, calligraphy, or illumination. One of a series of accessible and lively introductions to the history of books and how they are made.